Jews traditionally identify 613 commandments from God in the Torah, from the initial commands to Adam and Eve to “Be fruitful, and multiply, and replenish the earth, and subdue it”, through “Thou shalt not kill”, to the requirement that the congregation stone a blasphemer to death. No wonder that it is claimed that no one has ever been able to keep all 613 commandments! Because these two sound so much more forceful and defined than the Ten Commandments, people brought up in the Christian tradition assume they are Jesus’ original developments to monotheism. For its opening words, this is known as the Shema Yisrael (or just the Shema). It is the most important prayer, recited twice daily by observant Jews, taught to children to recite before sleep, attempted as the last words of the dying. When you enter the home of an observant Jew you will notice a small container, a couple of inches long, fixed to the door frame. 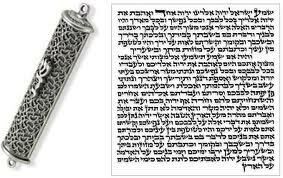 This is a mezuzah, containing the Shema. 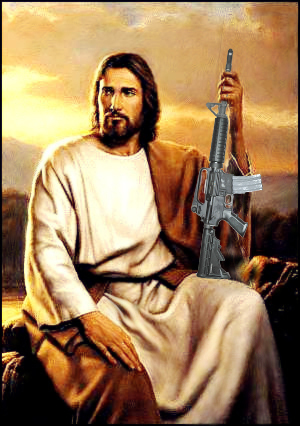 For Jesus, as for any observant Jew, it was the single most important commandment from God.